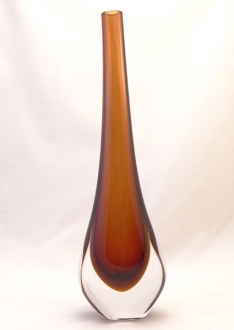 Murano art vase Smoke/Amber - Murano Glass - Murano Glass Gifts Co. The island of Murano is referred to as the glass capital of the world. It was in this island the glass art flourished from the 13th century. From that time onwards several unique techniques were developed by the glass masters of Murano. Sommerso is one of those techniques. This technique involves layering of glass. One blown glass object is immersed in liquefied glass of another color to give it an equally thick or thicker layer. This gives a chromatic appearance to the glass objects. 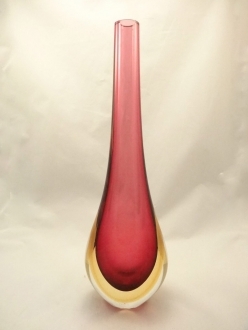 This Murano glass vase has a unique shape. The almost globular vase is made of two layers. The inner layer has a combination of smoky grey and amber shades. The outer layer is made of clear and transparent white glass. The mouth of the vase is of an unusual shape. 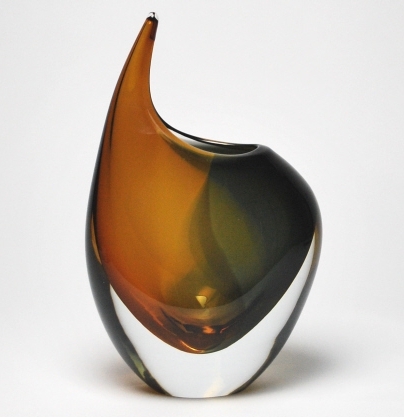 The singular shape of the Murano glass vase is its beauty. 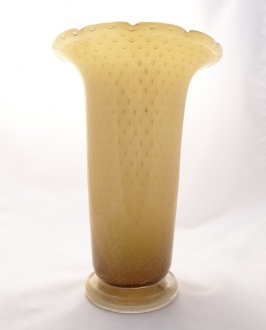 This handmade Venetian glass vase is an excellent décor item and a splendid gift article. This Murano glass vase is comparatively short. It comes only to a height of 8.5 with the upward extension of its lip. 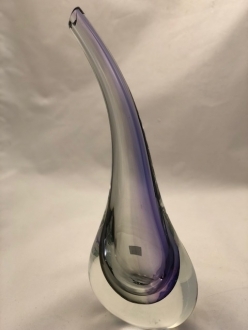 This vase can serve as a unique center piece. 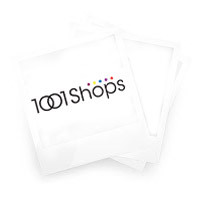 You can place your order without worrying about a safe transport. The packing is done with care and in spite of its extra weight, the Murano glass vase of your choice will reach you without any damage. 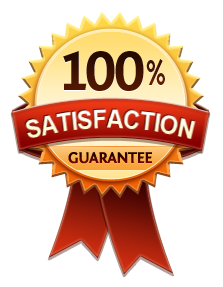 The authenticity of the vase is confirmed by the certificate of authenticity that accompanies the vase. The official sticker from the Glass makers’ Consortium ascertains the genuineness of the article. Made in Murano Island.